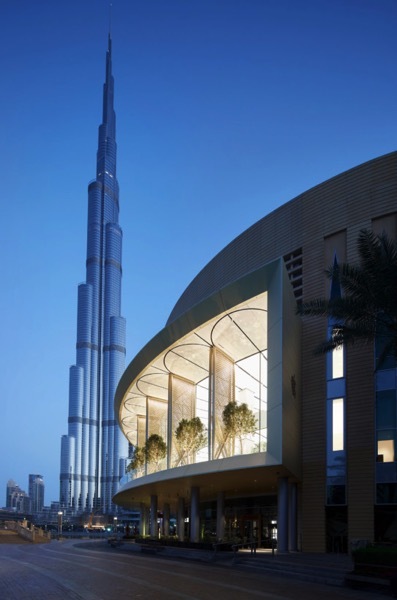 Yesterday, we reported that Apple is opening the doors to its newest flagship store in UAE’s Dubai Mall tomorrow, featuring a 186-foot curved storefront and balcony overlooking Burj Khalifa and the Dubai Fountain. The most scenic aspect of the new building is its slick motorized “solar wings” that have been designed to “respond to the ever-changing environmental conditions” (via TNW). 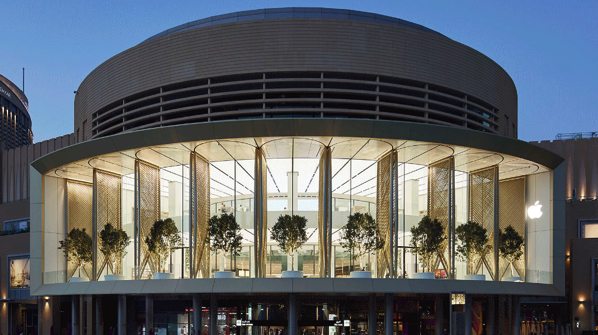 Developed by high-tech architecture firm Foster + Partners, the solar wings were fabricated from 340 carbon fiber reinforced polymer rods. When the sun is at its hottest they cool the store, and in the evenings they open to welcome everyone to the public terrace.